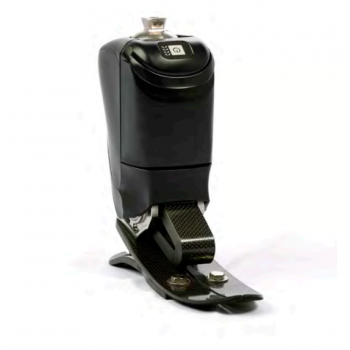 The emPOWER ankle is the latest and most advanced powered ankle from BionX, the company previously known as iWalk. 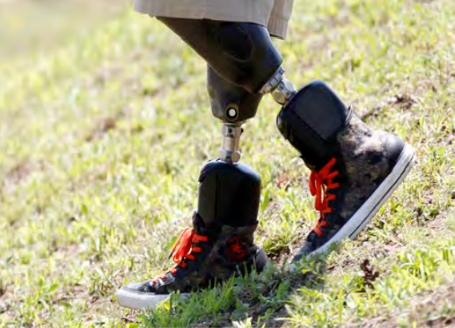 BionX has taken the already innovative BiOM powered foot and ankle prosthesis and improved on it dramatically with a variety of improvements over previous generations of the foot and ankle prosthesis. What’s new in the emPOWER Ankle vs. the iWalk BiOM? Enhanced power delivery that improves the feel of walking and can reduce fatigue. The emPOWER Ankle is appropriate for unilateral and bilateral above-knee (transfemoral) and below-knee (transtibial) amputees. A number of insurance providers offer coverage for the emPOWER Ankle, call us to see if you’re eligible through your insurance. Due to MCOP’s years of collaboration with BionX and our contributions to the development of the product, Medical Center Orthotics and Prosthetics has been selected a leader for this exciting new technology. 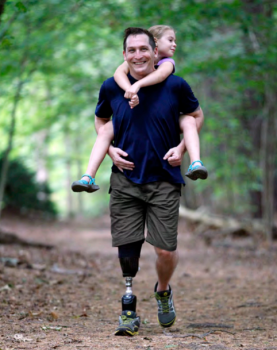 We were the first prosthetic company in the country to fit the emPOWER ankle technology. This means that we are one of the only prosthetic clinics in the world with access to and training on the emPOWER ankle. Contact us if you’d like to learn more about the BionX emPOWER foot and ankle.